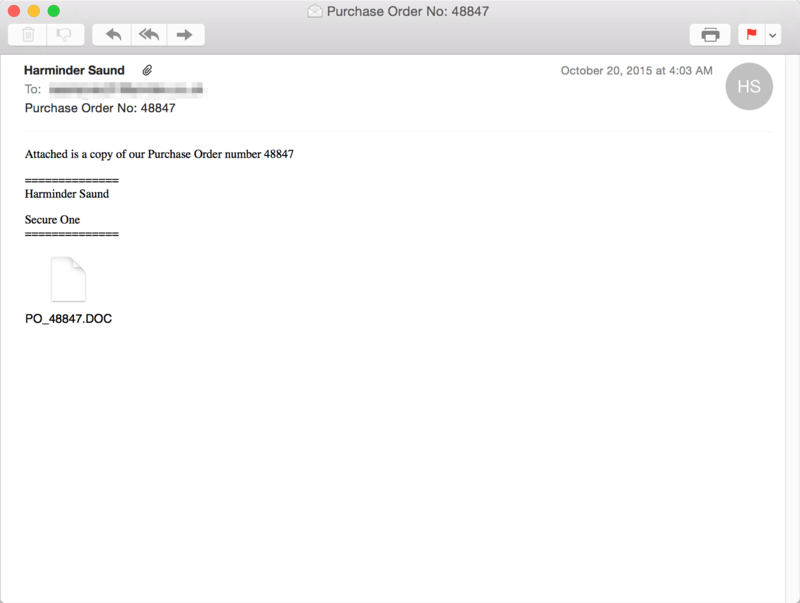 Dridex spam resumed at the beginning of October, with all of the sub-botnets delivered by the same spam botnet. Dridex 220 botnet operations resumed on October 1 and have been going strong since. Dridex 120 operations resumed on October 16. Proofpoint observed a new Dridex botnet ID 301 and a rarely-seen Dridex botnet ID 121. Proofpoint observed return of exceptional volumes of spam, with multiple days exhibiting message volumes at or above the busiest days of the past six months. The same spam botnet that distributes Dridex also spread the Shifu banking Trojan, targeting Japanese and UK users and demonstrating that the actors are willing to diversify. The botnet also spread Ursnif data-stealing malware targeting Australian users. When attempting to decipher the recent developments around Dridex it may be useful to place them in the context of the larger framework employed by many modern cyberattackers. Such a framework typically consists of five elements: Actor, Vector, Hoster, Payload, and C2. Actor: The attacker organization; real humans driven by various motivations, often financial for cybercriminals. Vector: The delivery mechanism; email via attacker-controlled or leased spam botnet is a dominant vector, though social media is growing. Hoster: The sites hosting malware; if malware is not directly attached to email, macro-enabled documents or exploit-kit emplaced droppers will source from these sites. Payload: The malware; software that will enable the attacker to make use of (control, exfiltrate data from, download more software to) the target computer. C2: the command and control channel that serves to relay commands between the emplaced malware and attackers. This framework enables attackers to operate in robust, horizontally segmented ecosystems, specializing in developing certain parts of the framework, and selling or leasing to others; such frameworks are resistant to takedowns and individual component failures. But such frameworks also increase attackers' detection surface; that is, their susceptibility to discovery. By tracking each of these elements, defenders can infer other elements and take the appropriate defensive measures. Dridex 220 operations resumed on October 1 and have been going strong since. The Dridex 220 botnet takedown announced October 13 seemed to be followed by just a 1-day pause in spam activity, on October 14. Proofpoint has since observed fourteen daily Dridex 220, and testing shows that this malware is currently able to successfully pull down DLLs and configuration files. The same botnet (consisting of around 4 to 10 thousand infected spam machines, depending on the day) distributing Dridex 120, 220, 121 and 301 , was also observed distributing the Shifu banking Trojan, demonstrating that the actors are willing to diversify or are looking for additional options should law enforcement actions prove successful. First reported in late August , the Shifu banking Trojan combines features from numerous other well-known banking Trojans, including Zeus, Dyre, Dridex and others. 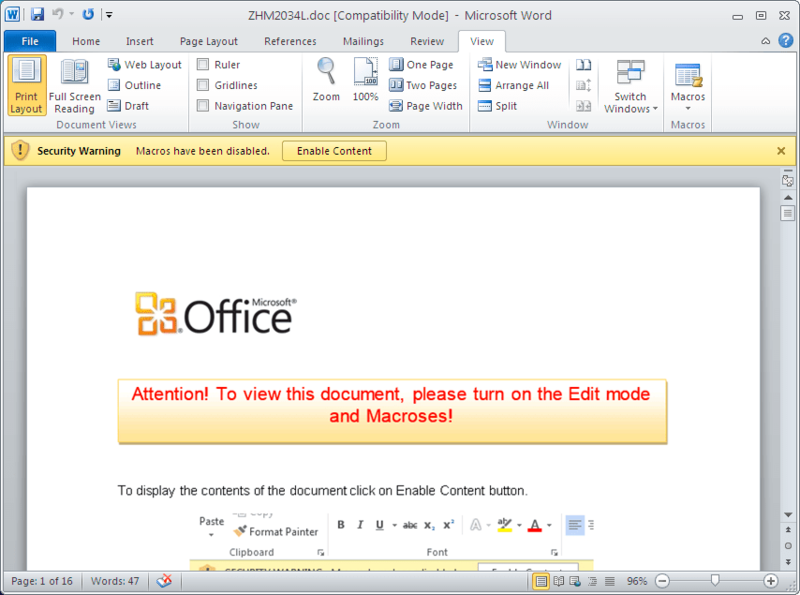 While this sophisticated hybrid employs a configuration file similar in format and technique to that of Dridex, it also has stealth, obfuscation, anti-analysis, C2 and even anti-malware  capabilities that Dridex does not, and has to date been observed targeting primarily banking customers in Japan and the UK. 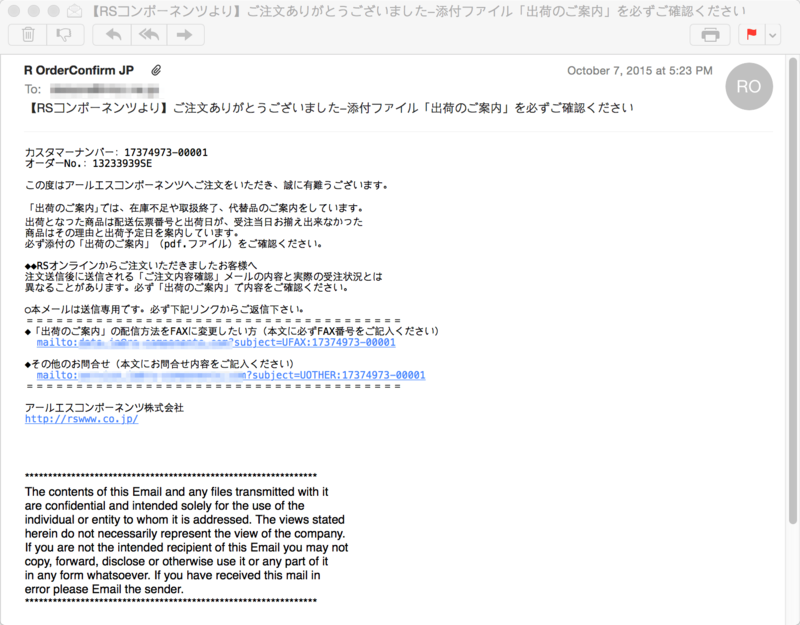 On October 7, the botnet sent out emails in Japanese claiming be a confirmation for an order, but which in reality contained attachments such as "1312061102_13233939se.doc" that used macros to download a Shifu banking Trojan targeting Japanese users. We previously observed this spam botnet spreading primarily Dridex, which might be taken to suggest that it was under the control of a single group or small set of individuals. On its own, however, this fact is not enough to connect these instances of Shifu to the actors distributing Dridex; for example, the infected machines could be infected with more than one spam bot, or the spammer could simply be doing a friend a favor. 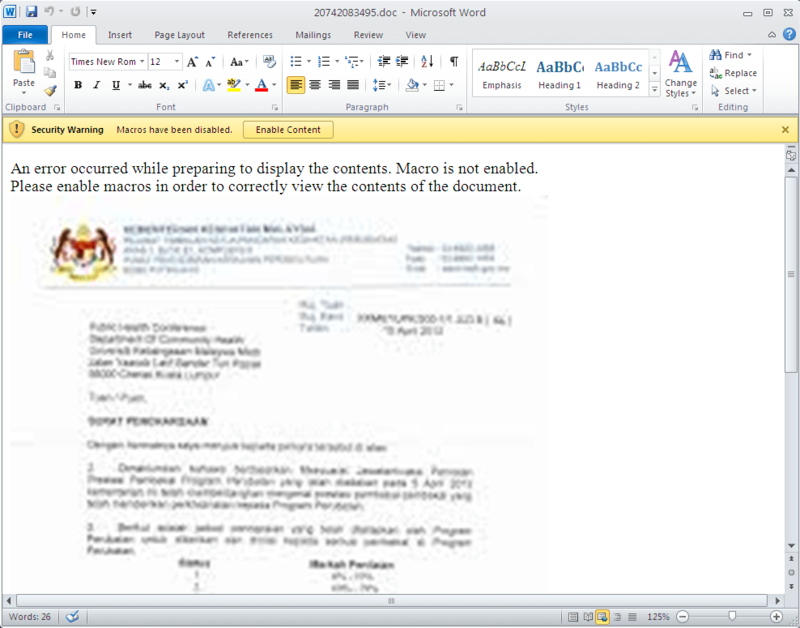 However, additional analysis revealed other commonalities: for example, the builder used to generate the Shifu documents was the same one used by Dridex 220, with similar file names, empty document body, similar payload location URI structure (that is, location from which the Microsoft Word document downloads the Shifu or Dridex payload). 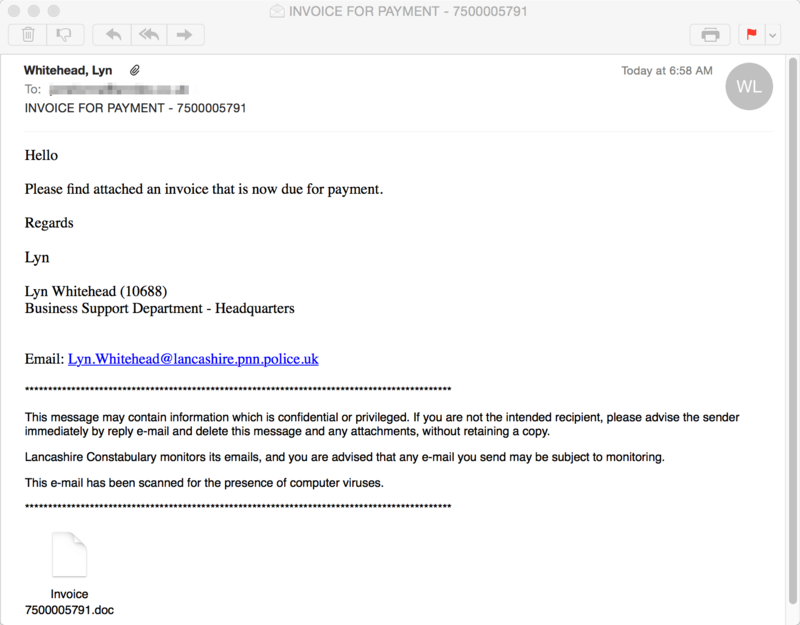 On October 28, Proofpoint researchers observed another large campaign that appeared to be from the same actor, also distributing Shifu and targeting UK users with an “Order Confirmation” lure and malicious document attachment. In another example of this actor’s continued variation of payloads, the campaign employed a Neutrino Bot as the initial payload, which then downloaded Shifu as a second payload. Recent observations by Proofpoint researchers have confirmed that the Dridex 220 botnet more than survived recent takedown attempts. Moreover, these analyses show that the actors behind the Dridex 220 botnet are in fact also behind recent Shifu campaigns in the UK and Japan, and at least one Ursnif campaign targeting Australian banking customers. These findings underscore the resilience and adaptability of these actors and highlight the danger they continue to pose to individuals and organizations.